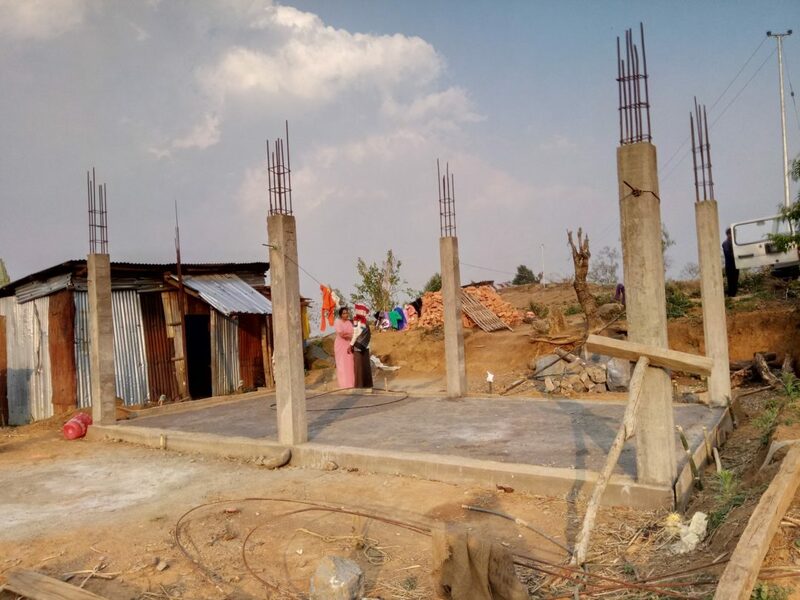 Lilly Luka, SCN, visited Umwalang Village to see the progress of the construction of a home by the Nongstoin Social Service Society (NSSS) for Jyotsna, a single mother. 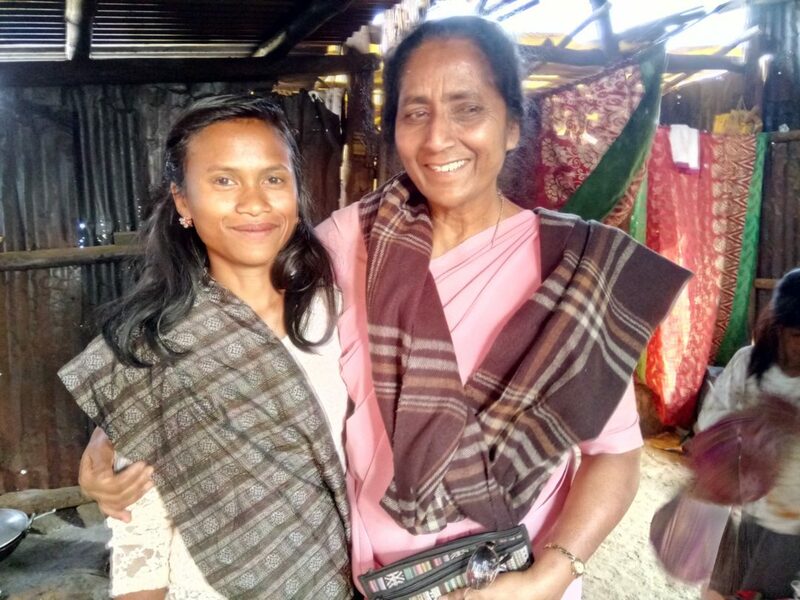 Sister Lilly loaded her jeep with ten sacks of cement to deliver and made the two-hour drive through unpaved mountain roads to reach Jyotsna. 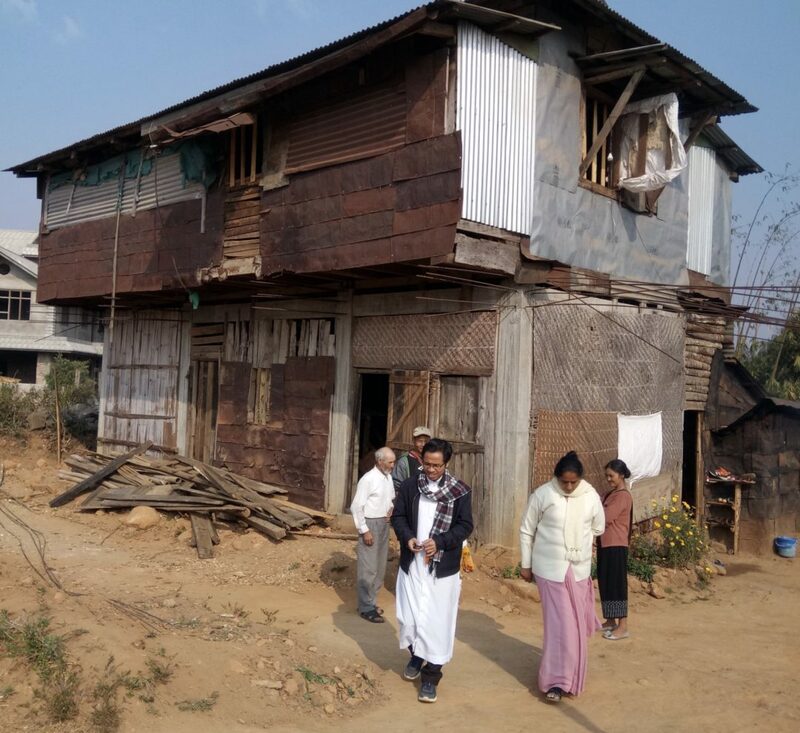 The mother of three spent the past severe winter in a makeshift shelter with her children and approached the diocese for help to build a house for her small family. Sister Lilly has been ministering in collaboration with the NSSS as the program manager. With various outreach programs, she reaches out to marginal farmers, youth, children and families, especially families managed by single mothers. The NSSS is the socio-pastoral development center of Nongstoin Diocese. It reaches out to West and South-West Khasi Hills districts of Meghalaya. With the support of the community, Rev. George Jarain, director of NSSS, is helping to build not only Jyotsna’s house but houses for two more families in need. The second house under construction is for a family of seven children, grandparents and parents in Pyndengrei Village. The majority of the people in the northeastern Indian state of Meghalaya are Christians. They have large families with many children. Khasi Tribe is a matriarchal society in which females hold the primary roles in the control of property. Lilly, you are a true follower of Mother Catherine. Many blessings as you serve the poor. Pioneering woman, great work. My love and payers are with you. Lilly you are compassionate and loving to the poor and needy. It is so good to see you! And you are in mission with the needy. You make my heart glad! Love and blessings!! !